The Colorado Blue Spruce Tree Kit is the easiest and least expensive way to start trees from seed. The high quality Colorado Blue Spruce tree seeds means you always get a tree and don't have to be a horticultural expert. 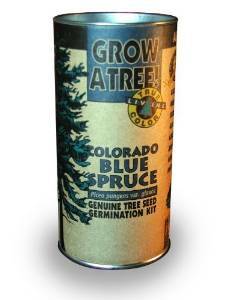 Everything you need to start a healthy Colorado Blue Spruce tree is included in this kit.